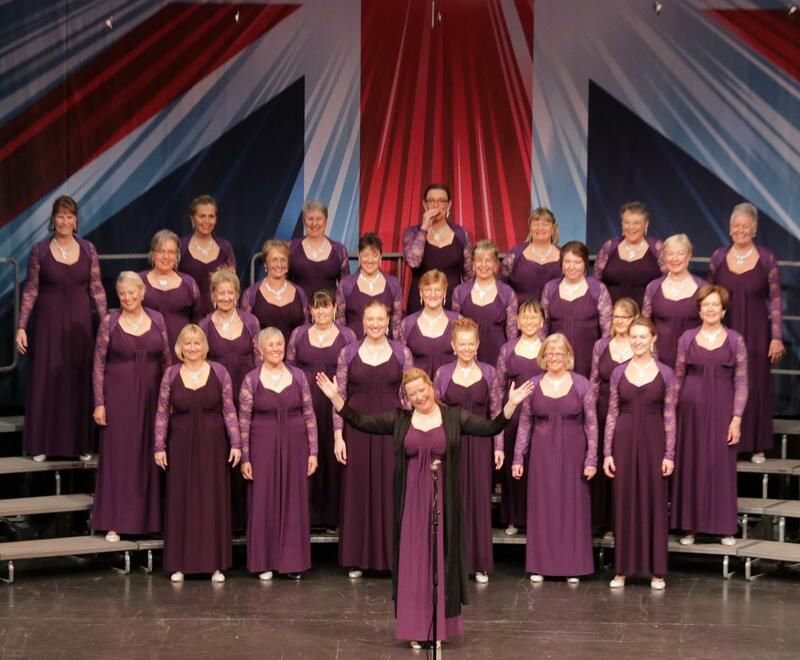 Who are Welwyn Harmony Chorus? 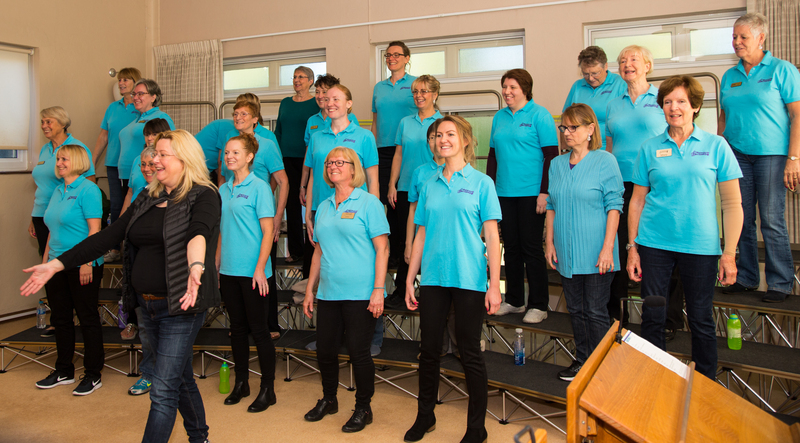 We're an enthusiastic women's chorus based in Welwyn Garden City that loves singing and performing in acappella, four part harmony 'barbershop' style. Our varied repertoire includes well known songs from Pharrell Williams to Judy Garland, Queen to Elton John. Do you love singing in harmony? Why not Hear Us! Join Us! Hire Us! We welcome visitors to listen to our rehearsals and aspiring new members are welcome to join in. We rehearse every Tuesday 7.30-10pm at The Vineyard Barn, The Vineyard, Digswell Rise, Welwyn Garden City, AL8 7PU. Look out for our upcoming 'Love to Sing' courses; they are a great opportunity to improve singing skills whilst learing a wonderful new song and getting to know the members of the chorus. We're always interested in welcoming new members to our chorus. If you missed our 'Love to Sing' course, but are interested in joining us, come along to listen to a rehearsal on a Tuesday night, join in if you'd like to and experience what makes our chorus unique. If you have any questions about the chorus or joining us please contact Verne on 01727 832452 or email . If you 'd like to book us please visit our bookings page. Want Welwyn Harmony Chorus to sing at your next function? Why not hire Welwyn Harmony Chorus to entertain at your next event? We can perform at corporate functions, charity events, community Entertainment events, birthday parties, christmas parties, awards nights, weddings, engagements, anniversaries, engagements, and even funerals and memorial services.